Despite the ongoing uproar over who can use which bathroom (newsflash, North Carolina, we’ve all done fine up to this point without your help) and debate on the finer points of Justin Bieber’s dreadlocks and subsequent shoring of them, plenty of actually-pertinent news items have been divulged recently. 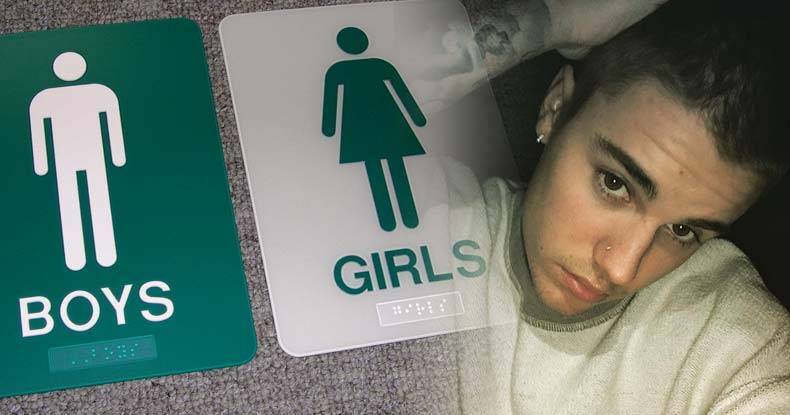 While Bieber’s hairstyle offers not one iota of newsworthiness, North Carolina’s draconian so-called ‘bathroom law’ deserves some attention — but not endless headlines for weeks on end. In fact, myriad developments both in the U.S. and abroad demand the attention that was instead devoted to these two topics. So, without further ado, the following comprises only a partial list of stories infinitely more newsworthy than hairstyles and unfounded bathroom paranoia. Renowned investigative journalist Seymour Hersh revealed striking evidence the United States — not oft-maligned Syrian President Bashar al-Assad — made possible the chemical weapons attack on civilians in Ghouta, Syria, on August 21, 2013. In fact, though the Obama administration squarely blamed Assad for that use of sarin gas, Hersh — for the first time — implicated Hillary Clinton and shadowy weapons dealings via the U.S. consulate in Benghazi, Libya. Further, as Hersh previously reported, a highly-classified report detailing a secret agreement between the Obama administration and that of Turkey’s Erdoğan in 2012 showed “funding came from Turkey, as well as Saudi Arabia and Qatar; the CIA, with the support of MI6, was responsible for getting arms from Gaddafi’s arsenals into Syria.” And the entire operation was run by now-retired CIA director, David Petraeus — though he and all figures involved firmly deny the operation even took place. Pharmaceutical giants and health insurance corporations play an undeniable role in the skyrocketing costs of American healthcare. Instead of making care attainable for all — as the government farcically claimed it would — Obamacare has, in actuality, been a boon only for Big Pharma and Big Insurance. Though myriad reports have pointed out hospital overcharging and pharmaceutical price-gouging, little has been done to fix the issues — and patients in the U.S. are often left penniless or without treatment as a result. A new report from Public Citizen confirms a major structural flaw which allows the perpetuation of crooked practices by pharmaceutical mega-corporations. Clearly, despite the seeming lofty goals it touted, Obamacare has done nothing to fix the long-term problem of healthcare affordability. According to Public Citizen’s report, titled Twenty-Five Years of Pharmaceutical Industry Criminal and Civil Penalties: 1991 Through 2015, relatively minor financial penalties for deceit and fraud mean Big Pharma gets away with continually breaking the law — while raking in obscene profits. As Justin Gardner noted for The Free Thought Project, “GlaxoSmithKline and Pfizer were the worst offenders, paying a combined total of almost $12 billion. These numbers may seem large, but they are dwarfed by profits.” According to Public Citizen, penalty payments accounted for just 5 percent of the whopping $711 billion net profit accumulated by Big Pharma — hardly necessitating a change in fraudulent practices. On the outskirts of St. Louis, an underground inferno at a landfill will likely soon connect with an ineptly-handled, illegal nuclear waste dump dating back to the Manhattan Project — and not even scientists agree on what might happen when it does. But that isn’t the only concern. Site owners and government officials have issued multiple contradictory reports, but massive flooding at the beginning of 2016 revealed radioactive contamination leaching from the site — and that is has been doing so for the past 42 years. West Lake Landfill became a federal Superfund site for cleanup of nuclear waste when placed on the National Priorities List in 1990 — but little progress has been made. In fact, the location was never intended to hold radioactive material. An inept contractor hired to handle the World War II-era byproduct from a uranium processing plant illegally dumped the radioactive residue at West Lake — over 100,000 tons of it. Proper lining or storage facilities were obviously not a concern when the material was originally left at the site, so not only has the product seeped into groundwater for years, but the exact boundaries for the radioactive waste have never been fully mapped. Considering the unknown reach of the illegally-dumped nuclear byproduct, the approaching underground inferno in the neighboring standard landfill, highly radioactive vegetation above ground — all in a heavily populated area — and the potential for catastrophe isn’t difficult to imagine. “The stuff we’re talking about at West Lake is hotter than what you would find in a typical uranium mill tailings operation,” warned Robert Alvarez, Senior Scholar for the Institute of Policy Studies, in an interview on the report he co-authored concerning the impending potential disaster. Near Miami, the ailing, decades-old Turkey Point Nuclear Generating Station has been spewing radioactive contamination into Biscayne Bay, near the Everglades — home to one of the planet’s largest coral reefs. A recent report revealed the hot, salty water has been creeping into the two parks and is fast approaching wells used to supply drinking water to residents in Miami and the Florida Keys. Tritium, a hydrogen isotope, is itself a troubling discovery as it often acts as a precursor indication of leaks from nuclear power plants since it travels ‘faster’ than, and often precedes, other radioactive contaminants. A third nuclear disaster looms in Buchanan, New York, in the Ramapo Fault Zone, just a half hour from the heart of New York City, at Indian Point Energy Center — where tritium levels sampled 65,000 percent higher than normal in February. According to Paul Blanch, an engineer with nearly five decades of experience in nuclear safety who has worked with Nuclear Regulatory Commission from its inception — and whom I’ve interviewed for Anti-Media on this topic — a convergence of multiple issues at Indian Point absolutely demand the entire country’s attention. Slated for installation through the plant’s property is a high-pressure gas pipeline extension known as the Algonquin Incremental Market (AIM) Project — which, despite receiving the go-ahead from both the NRC and Federal Energy Regulatory Commission, has never been fully or properly assessed for risk. As Blanche has repeatedly emphasized, the potential for catastrophe at Indian Point should be cause for serious concern for everyone located in the New York City metropolis and surrounding region, if not the entire country. After bombing a Médicins Sans Frontières (MSF, or Doctors Without Borders) hospital in Kunduz, Afghanistan, for over 90 minutes — and then shooting at victims as they fled — the 16 service members responsible will not face any charges. Despite the deaths of 42 staff members, patients, and civilians in the tragedy, the Pentagon’s announcement last week means the troops found culpable following a six-month investigation would essentially be excused of any wrongdoing. “The 16 found at fault include a two-star general, the crew of an Air Force AC-130 attack aircraft, and Army special forces personnel, according to U.S. officials who spoke on condition of anonymity to discuss the internal investigation” with the Los Angeles Times. MSF noted the U.S. acknowledged no armed combatants had been present at its facility — and no fire emanated from the hospital — for the duration of the attack. Military members, according to the Times, “believed they were targeting a separate building several hundred yards away where several Taliban fighters were supposedly hiding.” Flimsy doesn’t begin to describe that excuse, as MSF does not permit weapons on its properties and provides exact GPS coordinates for its facilities to all parties in any conflict — and had done so specifically for the U.S. just prior to the bombing of its Kunduz hospital. So much for international outrage and countless calls for the U.S. to be charged with committing war crimes in the targeted bombing. And in Foreign Affairs . . .
Warmongers in the U.S. military and government somehow decided deploying fighter jets near the Russian border would be a good idea. Though it was entirely unclear who would actually believe such a statement so obviously contrary to the reality of the situation, the U.S. maintains it is acting in self-defense. At the Russian border. Thousands of miles from even vaguely close to where ‘defense’ could logically be employed as an excuse for parking its fighters. But American exceptionalism and imperialism wasn’t limited to Russia, of course. A nonviolent and highly controversial coup currently underway in Brazil was recently revealed to bear the fingerprints of U.S. manipulation and involvement. And in the Middle East, despite at least 16 claims by Obama and his administration there would be ‘no boots on the ground’ in Syria, the President announced a quintupling of the number of boots on the ground in Syria. This announcement was quickly followed by a Kafkaesque denial by State Department spokesman John Kirby that any U.S. official had ever claimed there would be no boots on the ground.